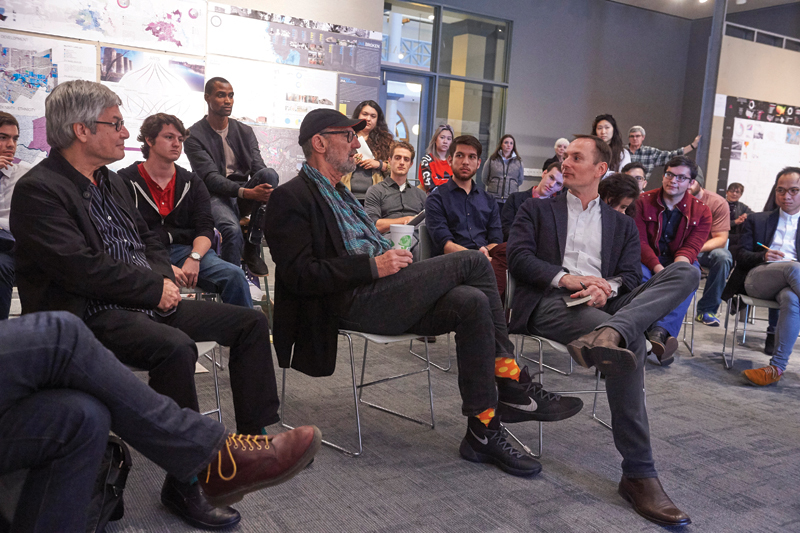 Thom Mayne, seated at center, acted as a consultant for UH studios that focused on urban issues, taught by Peter Zweig, Matt Johnson, and Jason Logan. Photo by Linda Zweig. 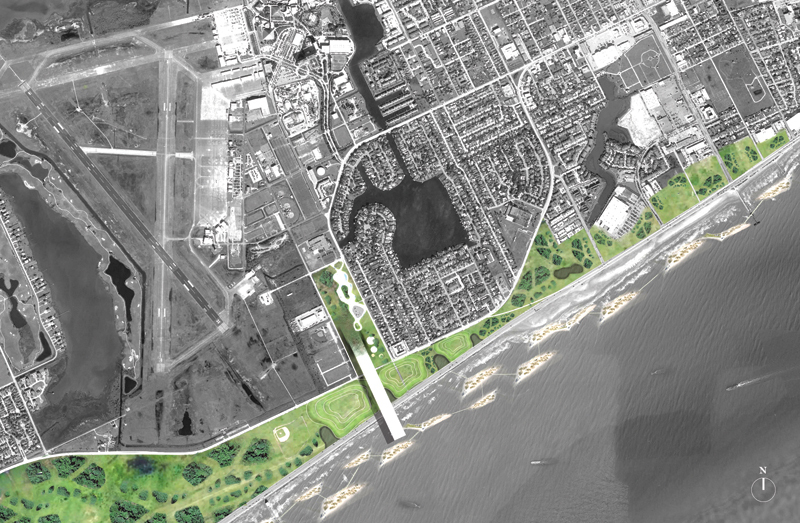 Students in Matt Johnson’s studios studied coastal flooding mitigation and sustainable energy sources and infrastructure in the Houston-Galveston area. 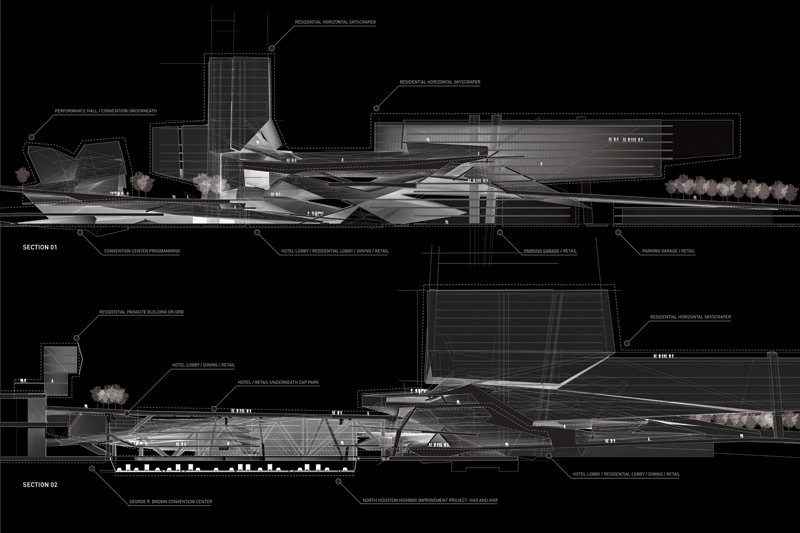 Rendering by Grant Lewis. Katrina Winsko’s “Energy Island” and Grant Lewis’ “Wetline” are among the projects that will be exhibited at the Aedes Architecture Forum in Berlin this summer. Mayne, Gerald D. Hines, and Wolf Prix are slated to speak at a symposium there. Rendering by Katrina Winsko. 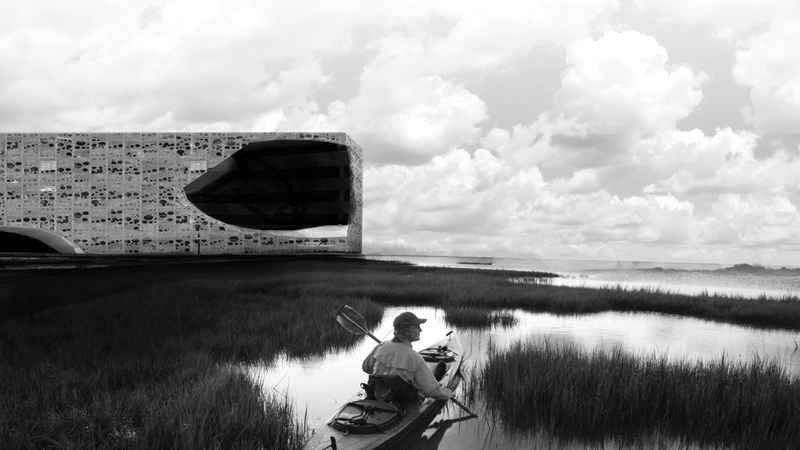 Katrina Winsko’s “Energy Island” and Grant Lewis’ “Wetline” are among the projects that will be exhibited at the Aedes Architecture Forum in Berlin this summer. Mayne, Gerald D. Hines, and Wolf Prix are slated to speak at a symposium there. Rendering by Grant Lewis. “Thick Infrastructure” by Clark Reed, a student in Jason Logan’s studio, which reconsidered and reimagined what Houston could be if zoning was overlapped and interwoven, instead of its current flat condition. 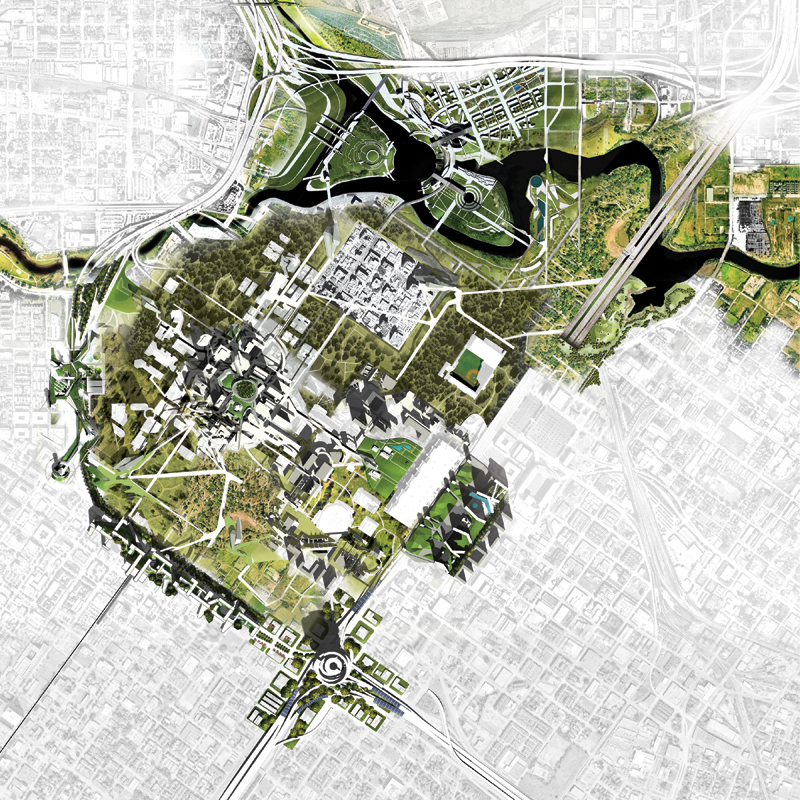 “PHASE 5: Re-imagining downtown Houston” by Munjer Hashim and Hicham Ghoulem, from Peter Zweig’s studio, which considered vacancy and occupancy rates in downtown. What does the near future of Houston hold? Will driverless cars crisscross the highways functioning as mobile offices, hotels, and cafes? Will migration patterns of drones dot the sky delivering packages based on peak consumer seasons and online flash sales? 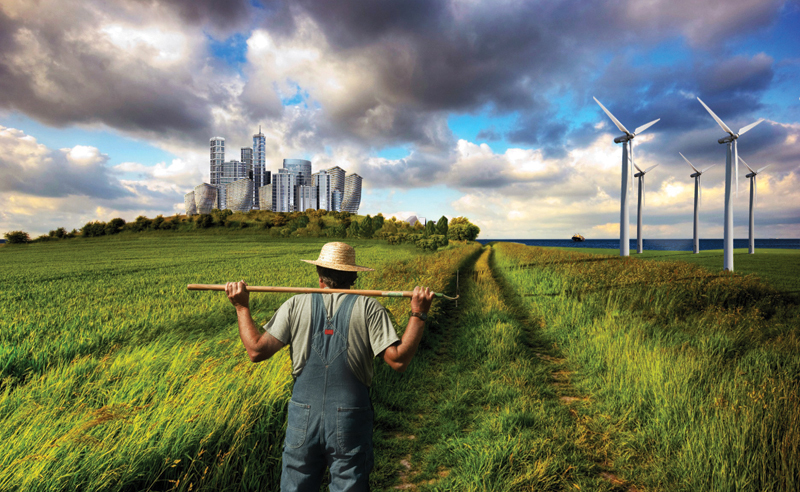 How can sustainable energy and its infrastructure gain momentum to coexist in tandem with oil production? Can we imagine a city where zoning overlaps and interweaves? Houston, infamously the only American city without zoning, a large petrochemical industry, downtown interstitial spaces, and a delicate bayou network prone to flooding, was intensely and ambitiously studied, mapped, and reimagined in studio courses spanning three semesters and a summer in Los Angeles with pin-ups at Morphosis, the office of Priztker-prize winning architect Thom Mayne, FAIA. He acted as a consultant to the studios taught by three University of Houston College of Architecture faculty members — Peter Zweig, FAIA, Matt Johnson, and Jason Logan. The professors worked with a cast of almost 30 rotating students who began by tackling complex issues: vacancies in the central business district and patterns of occupancy and development; the growth of concentric, sprawl, satellite, and genetic cities creating their own centers; innovative green energy sources, research, and remediation; democratic housing; repurposing parking spots; consumer logistics; flooding and post-disaster urbanism; natural and manmade ecological solutions; the future of the ship channel and ports; regional transport and mobility; and the implications and opportunities of a lack of zoning. In addition to founding Morphosis, Mayne was the executive founding director of the Now Institute, a think tank for urban research, strategy, and speculation at the University of California, Los Angeles, which is Oliver’s alma mater. He flew into Houston for various crit sessions and also invited the students out for a summer studio in LA, where they toured LA architecture studios, including Frank Gehry’s, and the construction site of Mayne’s personal house. Eui-Sung Yi, a principal at Morphosis and Now Institute director, also worked with the students in LA and Houston as their projects developed. In Logan’s studio, the focus was on the lack of zoning and how it could generate exceptional forms of urbanism and architecture. Zweig’s studio examined downtown vacancies and how emerging technologies, such as drone release stations and driverless cars, could create a new tower typology. Oliver worked to procure Mayne as consultant to the school and, with Zweig, flew to LA to make the initial meetings. 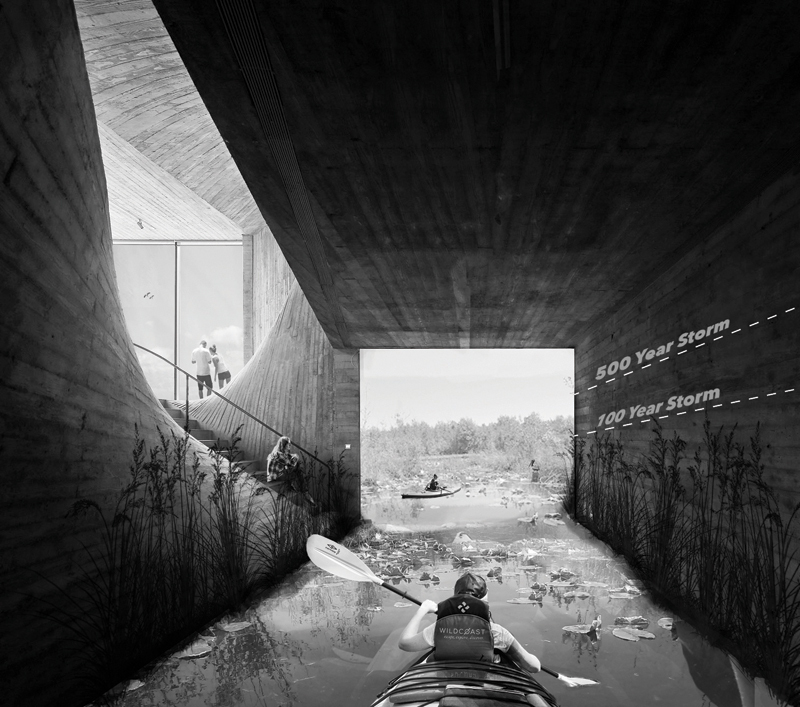 Oliver and Zweig brought Mayne the books they published on the delta project, “Risky Habit[at]: Dynamic Living on Buffalo Bayou,” which won the Global Art Affairs Foundation Prize at the Venice Biennale in 2014, besting 100 architects, two Pritzker Prize winners, and 40 countries. The student work will be exhibited at the Aedes Architecture Forum in Berlin from June–July 2017. Mayne, Gerald D. Hines, and Wolf Prix will participate in a symposium there on June 24. A studio book is forthcoming in the fall. Florence Tang, Assoc. AIA, is an architectural designer, manager, and journalist based in Houston.